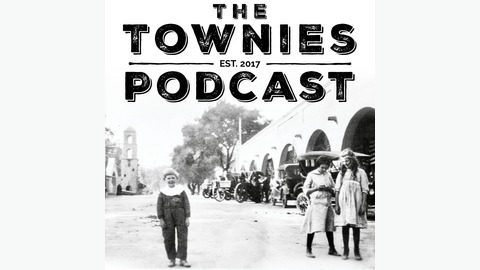 The Townies Podcast presents live, original stories and a glimpse into the creative lives of the real people who wrote them. For over 25 years, director and dramaturg Kim Maxwell has been using her unique style of coaching to mine all kinds of amazing, inspiring, hilarious, heartbreaking stories from her students in Ventura County and beyond. Welcome to the neighborhood. 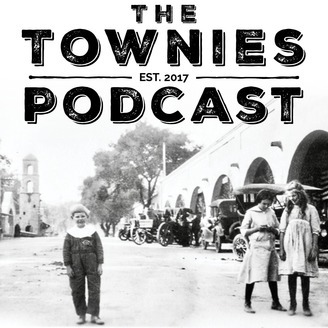 On the podcast this week are two storytellers that you may recognize from last season plus a musical guest brand new to The Townies: Katie Newbaum (formerly Katie Newcomer), Doug Knott and Towse! Tackling subjects from the infamous "wall" of self-doubt and grief to "adulting" and change, The Townies are thrilled to have these talented folks grace our air waves. Episode 205 Features: Haikus of a Trapped Adult written & read by Katie Newbaum Soil Song written & performed by Katie Newbaum Music: Change (True Happiness) by Towse Precious Marbles written & performed by Doug Knott Produced by Kim Maxwell, Lily Brown & Ken Eros Studio Engineering & Mixing by Eros Creative & Sound Theme song written & performed by Rain Perry Recorded & mixed by Martin Young Mastered by Mark Hallman at The Congress House This season of the podcast is possible in part thanks to a generous grant from the City of Ojai and the Ojai Arts Commission.